Nice high quality mass army. 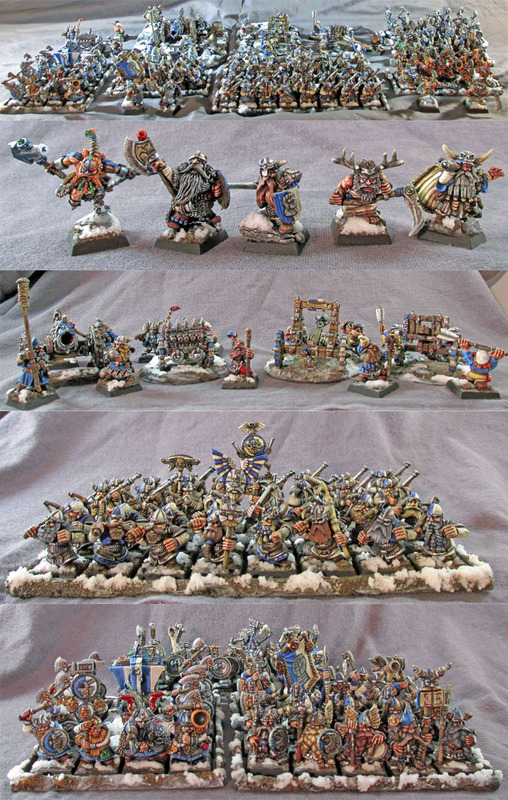 Amazing army full of some many years and flavors of dwarfs. Nice to see a WFB army as well, and not a AoS army.